At first thought, steps and stairs seem to be the same thing. Although there are definitely similarities between stairs and steps, there are subtle differences. Despite these differences, you should be able to say "stairs" when you should say "steps" and vice versa without causing too much confusion in a conversation. Still, the best way to avoid confusion is to use these words as they are supposed to be used. Are these steps or stairs? Steps are defined as a support for the foot of a person who is ascending or descending. This means that when a person is walking up or down a stairwell, each time he moves onto the next platform, he moves to the next step. The stairwell is a collection of multiple steps. 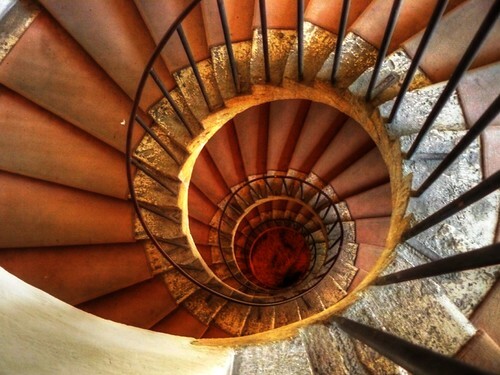 The word "stairs" is a shortened version of "stairwell." 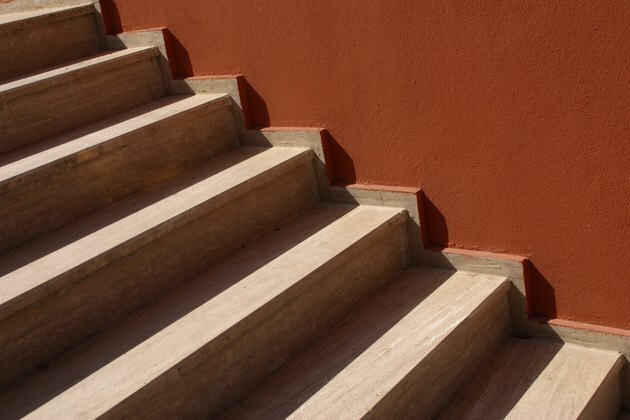 When somebody refers to stairs, he is speaking of a stairwell or a collection of steps that leads upward or downward. Stairs may refer to an entire collection of steps in a building, or they can simply refer to a collection of steps between flights. One example of properly using "steps" is found in this sentence: "The woman climbed each of the steps as she raced up the building." Notice the sentence refers to the steps as individual items, not a collection. Another example: "The boy skipped steps as he ran down the stairwell." The following sentence provides a proper example of how to use the word stairs: "The couple shopping for a new house knew they didn't want to buy a home with stairs." You can use steps and stairs together in the same sentence:. For example: "She couldn't believe how many steps there were on the stairs."